Tags: andy richter, conan o'brien, san jose event center arena, the legally prohibited from being funny on television tour, the masturbating bear, triumph the insult comic dog. Conan O’Brien brought the luck of the Irish (and all of his friends) to San Jose this Cinco de Mayo…MizMuze was lucky enough to have front row seats, and even luckier that I didn’t get my Flip Cam confiscated (like it was at Pee-wee Herman)! 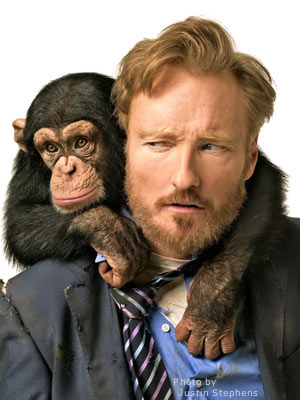 Conan’s “Legally Prohibited From Being Funny on Television Tour” was an amazing night of song, dance, comedy and appearances by Andy Richter, Triumph the Insult Comic Dog, the Masturbating Bear (for legal purposes, now called the Pleasuring Panda), and his band. If Mr. O’Brien’s tour makes his way to your town…this is a must-see event!!! The program which is scheduled to debut in November and will air Mondays through Thursdays at 11 p.m. Eastern, and will push TBS’ “Lopez Tonight,” starring George Lopez, to midnight. Mr. O’Brien will head to the Bay Area in support of his “Legally Prohibited From Being Funny on Television” Tour. He will perform two nights at the Nob Hill Masonic on 4/22 and 4/23, and will return on 5/5 for his show at the San Jose State Event Center. SF Sketchfest just announced via their website that the SF Sketchfest Tribute to Conan O’Brien that had originally been scheduled for 1/17/2010 at the Herbst Theatre has been cancelled. The presenters of this event originally asked that ticketholders hold on to their tickets or leave your tickets at will call until a new date has been rescheduled. Each year SF Sketchfest honors an individual or group that has made an influential and unparalleled contribution to the world of comedy. This year, the seventh annual SF Sketchfest Tribute Award was to be presented to The Tonight Show host Conan O’Brien. The tribute was to include an in-depth conversation with Conan and Andy Richter but was cancelled due to the NBC/Tonight Show debacle going on at that time. I emailed SF Sketchfest suggesting a special ‘Meet & Greet’ with Conan for those that had tickets to the SF Sketchfest Tribute during his upcoming 30-city “Legally Prohibited From Being Funny on Television Tour,” but did not receive a response back. UPDATE: I have heard from many of you who thought a ‘Meet & Greet’ for those with SF Sketchfest tickets was a good idea, and sadly, some were really bummed that they missed out on tickets all together, but…SF Sketchfest sent an email last night, 3/12/10 stating, “SF Sketchfest is not affiliated with Conan O’Brien’s tour in any way, so arranging a meet-and-greet is not an option for us. This cancellation was completely beyond our control.” So, sorry everyone, but I still say it can’t hurt for us to try and contact Conan’s people with our idea! 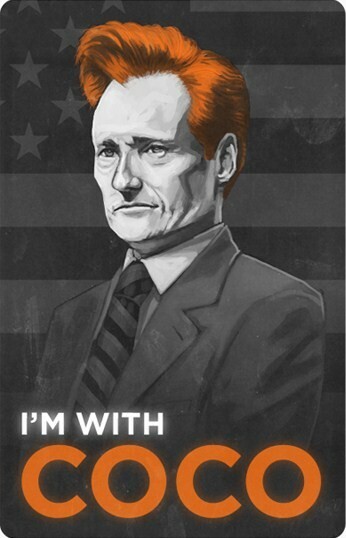 Tickets for Conan O’Brien’s National Tour go on sale today at 7:00 am! 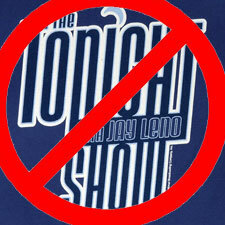 Don’t forget, Jay “the hack” Leno returns to NBC’s “Tonight Show” today. Weird, didn’t he just get fired from that show? And what kind of company would hire someone back that they fired, TWICE?! Oh that would be NBC, the “NoBody Cares” here Network. Normally when someone is fired from a job because a newer, brighter, funnier, and cooler replacement is found there is going to be some resentment. But Mr. Nice Guy Leno is above resentment because he’s a victim, right? Let’s see. Five years ago, NBC told Leno that they were going to offer the “Tonight Show” gig to Conan O’Brien for fear (rightfully so) that O’Brien was going to look for greener and earlier time-slot pastures once his contract was up. That gave Leno five more years to bore the socks off of anyone under that age of 80 or anyone with taste, brains, or ears. Well, when “The Jay Leno Show” ratings tanked, and affiliates were dissatisfied, NBC told Leno that his show would either be moved or cancelled. Of course Leno wasn’t going to leave, he’d hang onto any crumb NBC was throwing at him. Much like the creature in the horror movie, just when you think he’s dead and gone, Leno keeps coming back to terrorize you. We’ve heard the rumors of Leno hiding in closets to eavesdrop during conference calls to see whether or not he was going to get the job as the “Tonight Show’ replacement after Jonny Carson, and how Carson refused to ever appear on “The Tonight Show” while Leno was the host—in fact, Carson’s last TV appearance was on the “Late Show with David Letterman.” These are all signs of a really nice, upstanding guy. But this was not to be. Conan stood his ground and said he felt bumping the show to 12:05 and having three back-to-back talk shows would be destructive to the legacy of the “Tonight Show” and he therfore made the painful decision to leave NBC and the “Tonight Show” taking with him his fans, his crew, and his dignity. 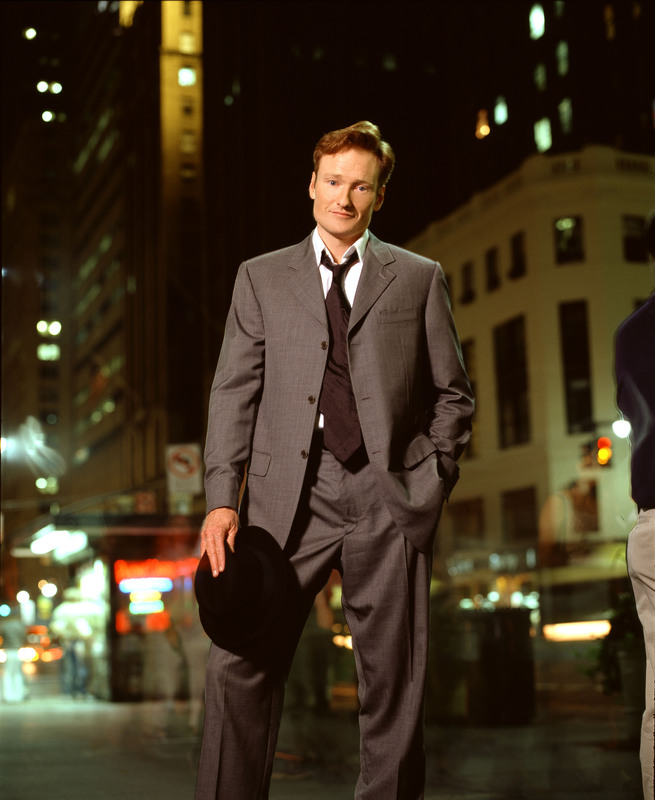 Tonight was Conan O’Brien’s last night as the host of “The Tonight Show,” bringing to a close the two-week battle between Mr. O’Brien, Jay Leno, and NBC. Tonight’s guests included Steve Carrell, Tom Hanks, Neil Young, and Will Farrell who closed the show with a “Freebird” jam-session. Mr. O’Brien joined the band on guitar along with Beck, Ben Harper and Billy Gibbons, one of the “Z’s” from ZZ Top. Mr. O’Brien, please don’t think MizMuze is being cynical, but she promises to not watch the “Tonight Show” from here on out. This is a chance of a lifetime to own your very own late night talk show–guaranteed to last for up to seven months!! Really must see to appreciate. – Measures 100’ x 100’ x 32’ – plenty of room for a futon!